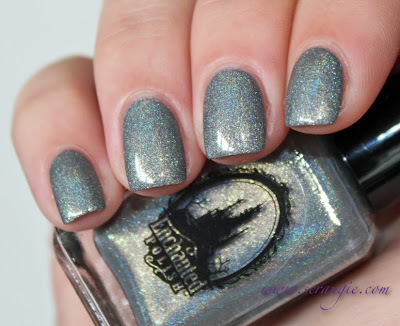 Enchanted Polish Beautiful Rule Breaking Moth. I have to say, indie polish has really won my heart. The handmade indie brands make all the colors we want and that commercial/salon brands won't. Enchanted Polish is one of those brands that I have been extraordinarily impressed with; every single color I've tried has completely blown me away. This color continues in that tradition of impressing the hell out of me. 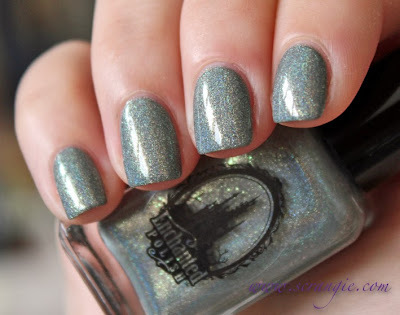 Grey glittery duochrome holo? SO GOOD. 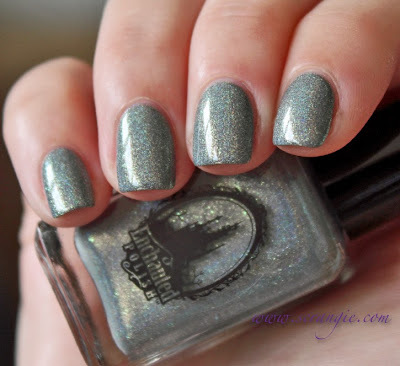 Beautiful Rule Breaking Moth is $15 at Enchanted Polish! Beautiful nail manicure and you have wonderful! So pretty and unique! Indie polishes are the best! So pretty and I don't think I've seen anything quite like this! Absolutely love the EP polishes, but hate that they are next to impossible to get your hands on. Especially now that llarowe has stopped carrying them. Absolutely love EP polishes, but hate that they are next to impossible to get your hands on. Especially now that llarowe has stopped carrying them. aw so pretty but looks like everything on the website is sold out!!! Wow, this is so supremely beautiful!